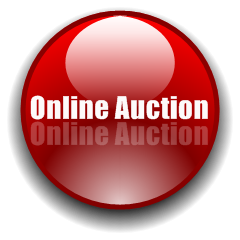 Click on red button to bid now! 1- All bidders must pre-register to bid at bidspotter.com. 2- All property is sold “As-Is, Where-Is”. ALL SALES ARE FINAL! Once an item is “sold”, please do not ask us to remove it from your bill. At that time, subject to full and final payment, title of the property shall pass to the high bidder. 3- Full payment required by Monday, May 20, 2019 at 4:00p.m. Any purchases not paid for by this date and time will be subject to any and all remedies permitted by law and as outlined in clause #9 below. 4- Check-Out times are Monday-Friday, May 20-24, 2019 (8:00a.m. to 4:00p.m. daily by appointment). Final removal required by Friday, May 24, 2019 at 4:00 p.m., any purchases not removed by this date and time will accrue a minimum storage charge of $50 per lot per day. Total responsibility for removal of purchases is that of the Purchaser, financially and physically. The Auctioneer cannot be responsible or liable for any moving, on or off-site. Purchasers must supply their own equipment, boxes and labor as applicable for removal. Please contact a local shipping company (i.e. The UPS Store, etc.) for shipping. STAMPLER AUCTIONS WILL NOT HANDLE SHIPPING, PACKING OR MOVING OF ANY PURCHASES. Please make arrangements with third party shippers in advance, if applicable. 5- The Auctioneer reserves the right to group, break or withdraw lots. The Auctioneer shall have absolute discretion in case of a disputed lot and reserves the right to reopen the bidding on such disputed lots. 6- The Auctioneer, at their sole discretion, may reject any nominal or fractional bid advances in order to maintain the flow of the Auction. 7- Any and all Bidders and/or Sellers have the right to protected identities during the auction, if so desired. 8- All items are sold by the piece times the bid price. Buyer must take entire lot and pay for overages or be reimbursed for shortages, if applicable. No claims or shortages of any nature will be recognized after removal. a) Hold the Purchaser liable for the bid price, plus buyer’s premium and costs, including attorney’s fees. b) Cancel the specific sale, retaining any and all payments made by the Purchaser as liquidated damages. c) Resell the property, without notice, at public or private sale. In such event, the original Purchaser shall be liable for any deficiency, sale costs, commission, storage and any extra expenses, including attorney’s fees. d) Seek specific performance and hold the bidder liable for all costs associated, including attorney’s fees. 10- Any and all announcements made by the Auctioneer will take precedence over any previously printed or verbal statements, brochures, newspaper ads, etc. 11- 20% Buyer’s Premium will be added to all purchases. 14- Applicable Sales Tax (7%) will be added to all purchases, unless the purchaser has a valid resale certificate and is purchasing for resale or export with proper documentation. 15- Nothing leaves the premises without payment in full. All bidders must pre-register to bid at bidspotter.com. Stampler Auctions highly recommends registering no later than Friday, May 17, 2019. This auction will require a refundable credit or debit card authorization / hold. Your credit card / debit card added through the Bidspotter.com fully secure and PCI compliant registration process will be assessed a $1,000 authorization deposit in order to be approved to bid within the auction. You will not be approved without your credit card entered at the stage of registration being assessed a refundable deposit of $1,000. Purchases will NOT be automatically charged to the credit card. Payment for purchase(s) is due by Monday, May 20, 2019 at 4:00pm by cash, cashier’s check or wire transfer. Should payment not be received by the deadline, Stampler Auctions can process the card authorized for the total amount of the purchase. Buyer is still subject to all terms and conditions of the auction. – The credit card that is on file with bidspotter.com will NOT be charged automatically.